BEIJING, April 2 (Xinhua) -- As Tiangong-1 re-entered the Earth's atmosphere on Monday, China bade farewell to the experimental space lab and pathfinder for its space station. The space lab entered the atmosphere over the South Pacific at around 8:15 a.m. on Monday, and was mostly burnt up in the atmosphere, the China Manned Space Engineering Office (CMSEO) said. "Although Tiangong-1 was only a transitional platform between the spaceship and space station, it was key to our development of docking technology, and demonstrated the possibility of long stays in space for Chinese astronauts. The fervor aroused among Chinese is invaluable," said Bai Ruixue, a former space journalist and now CEO of a commercial space education project. "When I was reporting on the docking between Shenzhou-8 and Tiangong-1 from the Beijing Aerospace Control Center in November 2011, many people had tears in their eyes when they saw the two spacecraft, like two specs of dust floating in the vast universe, connect with each other. It's a kind of romance created by science and technology," Bai recalled. "It was very bright and moving very fast. It's time for us to say goodbye to Tiangong-1," said Yu Jun, an enthusiastic stargazer. Over the past few years, Zhu Jin, director of Beijing Planetarium, has taken many photos of Tiangong-1 from the ground as the spacecraft passed by. "On clear nights, we could see it with the naked eyes. I also took photos of the International Space Station, but it is not the same feeling as when I see a Chinese spacecraft or satellite. I hope China's space station will be a great success," Zhu said. When Zhu travels around China he finds many young people are fanatical about space exploration. "I think it's because our space programs have made such great progress in recent years," he said. In 1992, China developed a three-step strategy for a manned space program. The first step, to send an astronaut into space and return safely, was fulfilled by Yang Liwei in the Shenzhou-5 mission in 2003. The second step was developing advanced space flight techniques and technologies including extra-vehicular activity and orbital docking. This phase also included the launch of two space labs -- effectively mini space stations that could be manned on a temporary basis. After Tiangong-1, China sent Tiangong-2, the country's first space lab "in the strict sense," into orbit on Sept. 15, 2016. Two astronauts lived onboard for 30 days, the longest ever space residence for Chinese astronauts. A series of cutting-edge scientific experiments, such as quantum key distribution, cold atomic clock and gamma ray burst observation, were conducted on the lab. 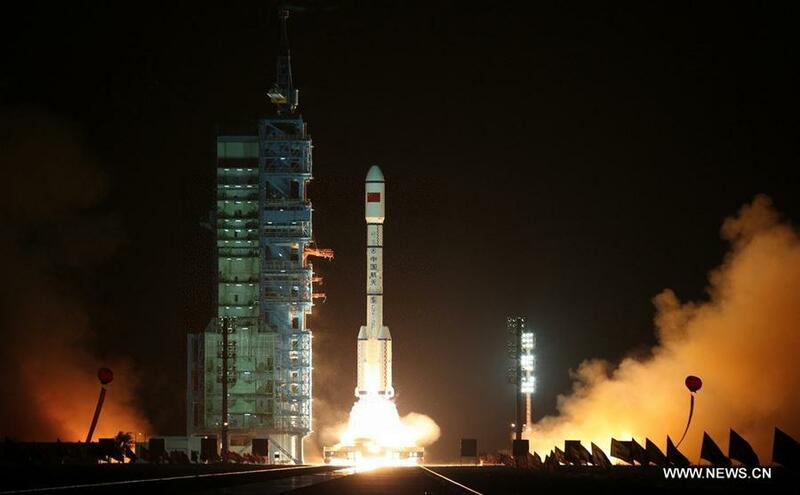 Tianzhou-1, China's first cargo spacecraft, was launched on April 20, 2017, which docked with Tiangong-2 to test in-orbit refueling, another crucial technology for building the space station. The next step will be to assemble and operate a permanent manned space station. According to Zhou Jianping, chief designer of China's manned space program, China's space station, with an initial designed life of at least 10 years, will be comprised of a core module and two experimental modules, each weighing about 20 tonnes. It will accommodate three to six astronauts. With the International Space Station set to retire in 2024, the Chinese station will offer a promising alternative, and China will be the only country with a permanent space station. China's first astronaut Yang Liwei, who is also deputy director of CMSEO, said recently that a series of manned space missions will be launched during the assembly and construction period of China's space station from 2019 to around 2022. China will open its space station to scientists from around the world after the station is completed, and welcomes various kinds of international cooperation, Yang said. "China has a very clear design and plan for its manned space program and its lunar exploration program, which ensures steady and continuous progress in its space technology," said Zheng Yongchun, researcher at the National Astronomical Observatories Of China, and winner of the Carl Sagan Medal for Excellence in Public Communication in Planetary Science. As Chinese bid farewell to Tiangong-1, they are also looking forward to the coming of China's own space station, peaceful utilization of space technology, and deeper exploration of the universe. 2018 will see 35 launches of the Long March rocket series. One of the highlights will be the launch of the Chang'e-4 lunar probe later this year. If successful, it will be the first probe to land on the far side of the Moon. China also plans to accomplish the maiden flight of the Long March-5B carrier rocket, which has a low-Earth orbit carrying capacity greater than 22 tonnes, around June 2019, and the new rocket will be used to carry the core module and experiment modules of China's space station in the future. China will select its third group of astronauts for the manned space exploration plan in the first half of this year. The new astronauts will include not only pilots, but also maintenance engineers and scientists. In addition, China's heavy-lift carrier rocket, currently called the Long March-9, is expected to be sent into space by 2030. The Long March-9 rocket's low-Earth carrying capacity will exceed 100 tonnes, which could meet the demands of a manned lunar landing.